Before you “make your move” to purchase a home, please make sure that you carefully look at the basic strategies so that your home purchase is satisfying experience! Here are the steps to take to ensure that your move is the right one! Make sure that you have knowledge of what you want and combine that with what you need to enter the marketplace. How quickly do you want to move? Where do you want to go? If you are buying your next home, what are the features in your current home that you like or don’t like? What are your goals? Do you have the financial stability to buy a home? Is your job secure? Do you know your credit score? Getting your financial house in order is one of the first things that you will need to do to! You will need some cash even if you have elected to secure a low down payment loan. Contact your Realtor, Cathy Champion. Buying a home involves many complicated elements. Cathy will be able to sort through the myriad of details to provide you with the information that you will need to make an intelligent purchase. Cathy will talk to you about agency and the advantage of working with her as your buyer’s agent. There will be an agreement that is signed between you and Cathy that outlines the responsibilities of Cathy as your buyer’s agent. Pre-approval from your mortgage lender is a necessary step. It’s also a good idea to contact at least two lenders so that you are confident that you are getting the loan that you want. Is the interest rate competitive? How much are the closing costs? Loan officers have a variety of programs available and will find one that meets your needs and expectations the best. It is time to look at homes! Many home buyers start their search for a new home on the internet first. 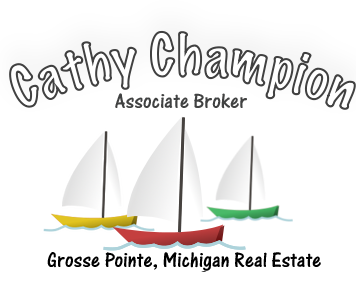 My website gives you a convenient way to find properties in Southeast Michigan which would include the Grosse Pointes, Harper Woods, St. Clair Shores, Detroit and other areas in Macomb, Oakland and Wayne Counties. Once you’ve determined what you like and what you can afford, put on some comfortable shoes and let’s get started! I found my dream home! Putting an offer together to purchase your home is the next step. 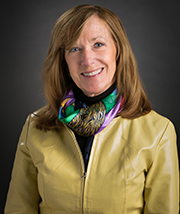 Cathy will guide you in the execution of the documents that will include a purchase agreement, seller’s and lead based paint disclosures and other documents that might be necessary if it is a short sale, contingency sale, or FHA/VA sale. You will have your financing already started so now that you have found a house, your lender will start ordering appraisals and coordinate title work. Inspections by private contractors are also a good idea. The inspection can be done before making the offer or during a specified time period after the offer is accepted. Homeowner’s insurance that will provide coverage if the unthinkable happens must be obtained. Your mortgage lender will insist upon it and you will also need to have coverage. Insurance premiums vary with the carrier and sometimes better deals may be obtained if you have auto and home insurance through the same company. It’s time for closing! You will sign lots of different documents at closing but the most important one will be the one that you don’t sign…the deed! Your mortgage lender should have provided you with all your closing costs approximately three days before closing. Make sure that these costs are the same ones that were provided to you earlier. You will need a certified or cashier’s check that will represent the difference between the purchase price and the amount of mortgage. Utilities will need to be transferred into your name so that you start out with a zero balance. You also might want to consider the purchase of a home warranty that covers many of the mechanical systems in the home. Now what? Make sure that you look for your first payment coupon to arrive in the mail. It is usually due the first of the month. Watch for your tax bills if you don’t have an escrow account set up. Also, make sure that you file the property transfer affidavit and the homestead exemption with the city where your home is located! Keep all of your papers that you received at closing in a special file. You will need them when you file your next income tax. And, start saving for unforeseen expenses that might be incurred if something breaks or wears out. Most of all, enjoy your new home and put your special mark on it!